Last week, someone very dear to me passed from this earth. The outpouring of love from family, friends, and our community was comforting in the moment, and even more special when I stepped back to recall all the ways that people had stepped in to take care of us. We live in Kentucky, where it is customary to bring food to the family. It's a wonderfully generous thing to do, because friends and relatives may be coming from near and far, and no one really wants to be preparing meals during that time. But meals--and time spent together--require beverages. Whether that's bottled water, canned drinks, gallons of tea, or something stronger, drinks--and the cups to go with them--can be very useful, especially for a large family. The kids are experiencing a loss, too. But they're still kids and they need to be able to play. Providing a safe place for the children, whether it's in the same house or elsewhere, gives the adults time to make arrangements, or just take a breather during which they're responsible for no one else. Providing an optional child care area during visitation and/or the memorial service also helps the adults, who want to focus on their own time of reflection and who may need to greet the guests coming to share their in their grief and show their support. Whether it's transporting out of towners to and from the airport or cleaning up the kitchen during and after a family meal, these are tasks that must be managed. If you can handle them and free up the family for other things, even if that's just spending time together, it's a gift. Whether this is in person, as a phone call, with a handwritten card, through a note on social media, or via a text message, let your friend know that you're thinking about them, or praying for them, or honoring the memory of their loved one in some way. If the memorial service is open to the public, and you feel compelled to attend, do. And if not, that's ok, too. 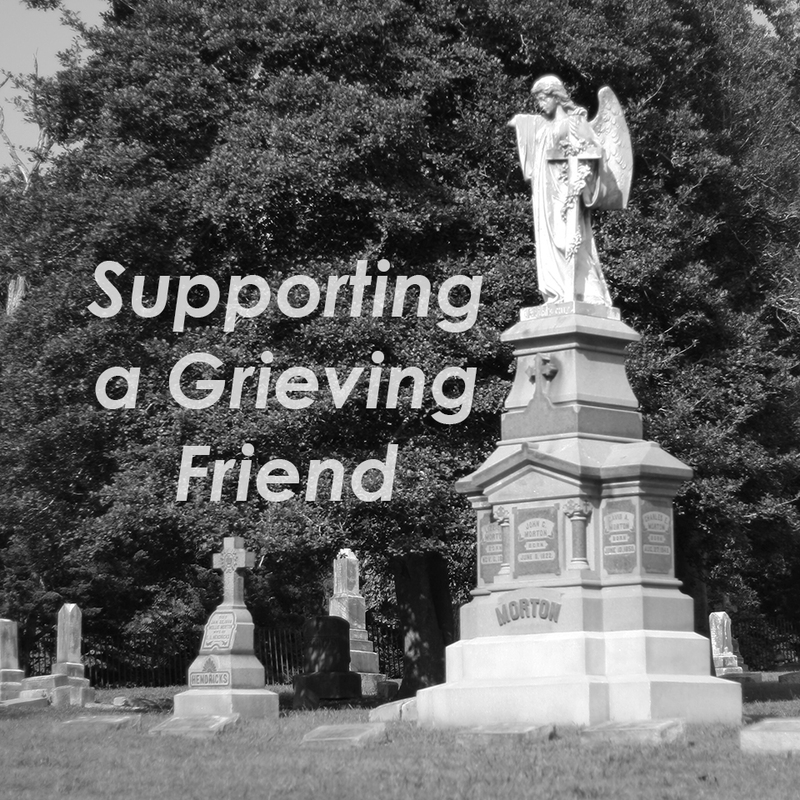 But, somehow, let your friend know that you acknowledge their loss. It's there whether you discuss it or not, and a kind word can mean so much. The loss in my family is too new, so this one hasn't happened, yet. But I know it's going to be important in the coming weeks and months. After the flurry of activity has calmed, when the out of town friends and family have returned home and the house is quieter than it was before, reach out. Give your friend a call or send them a text to let them know you're thinking about them. Stop by to say hello. Invite your friend to coffee, or a meal, or an event. Don't be upset if they decline your first invitation, or your second. Don't be pushy, but keep asking. Remember that although the service may be behind them, the lack of this person in their life is ever present. We all experience loss at some point. Holding each other up during such a time is a wonderful way to show our friends how important they are to us. So thoughtfully written and helpful, Liz. So sweet Lizzie, and so true. Hope you all are coping okay. I have talked to your mom some and I know this is hitting her so hard.